My maternal Grandfather ran a trucking business from his backyard at 38 Opaki Road in Masterton. So I guess trucks and machinery got into my blood. I haven't got many photos of my Grandfathers trucks, but this one shows them covered in snow in 1939. 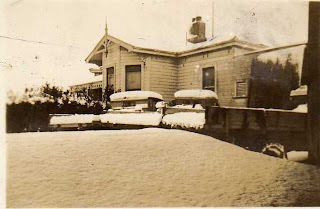 The house at Opaki Road is still there today.